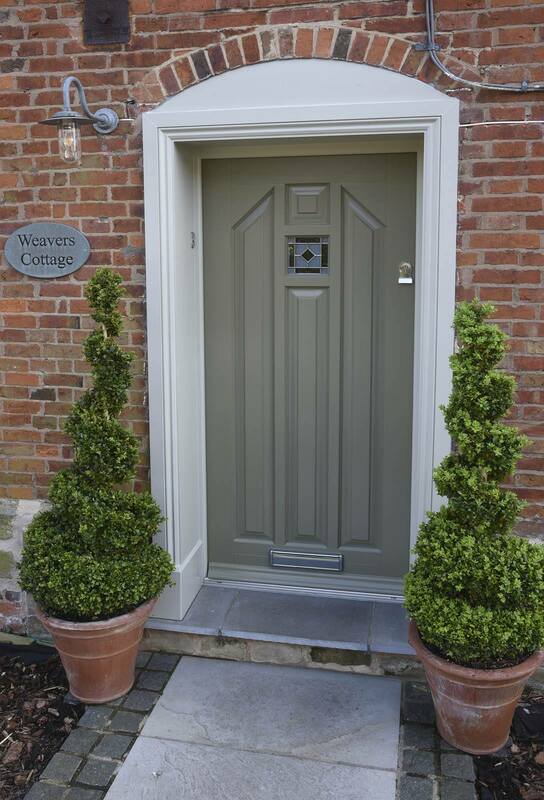 The new front door is a Norham design finished in Oxford Clay with a French Grey frame, and is dual coloured with a White finish internally. 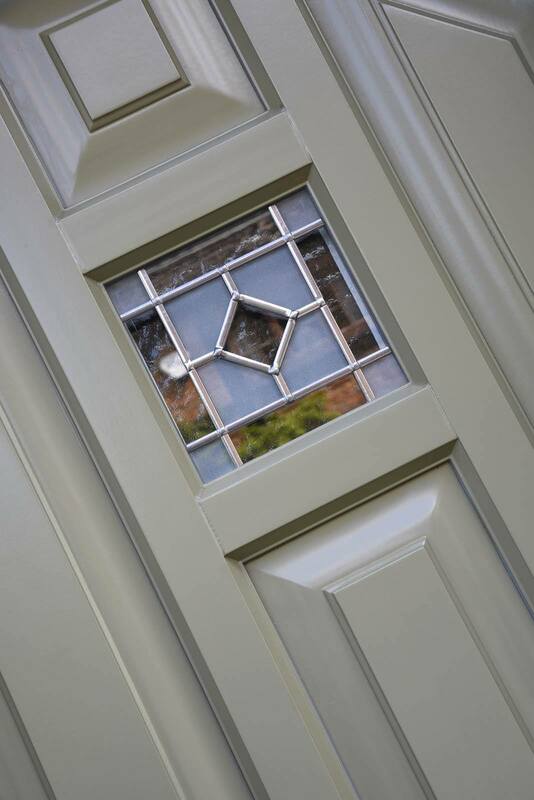 The door features Queen Anne decorative glass along with chrome ironmongery. Queen Anne decorative glazing design. 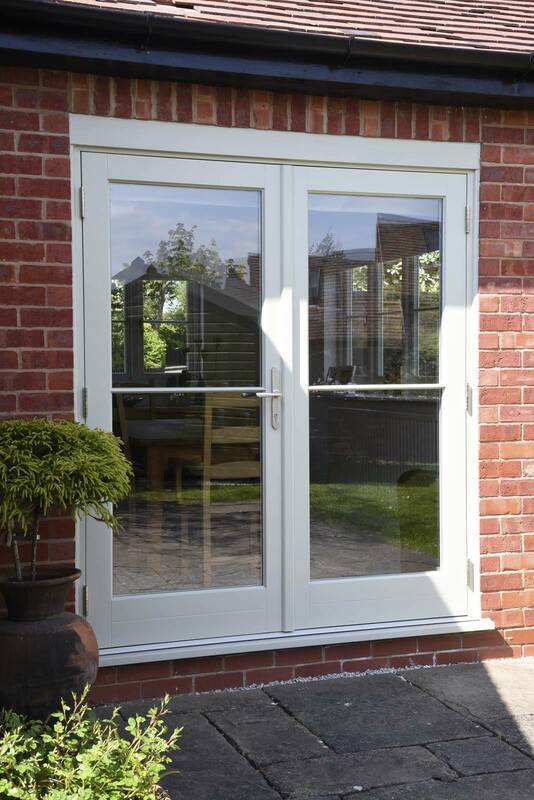 The flush casement windows, French doors and stable door are all finished in French Grey externally and White internally, with an 18mm horizontal astragal glazing bar to the windows. 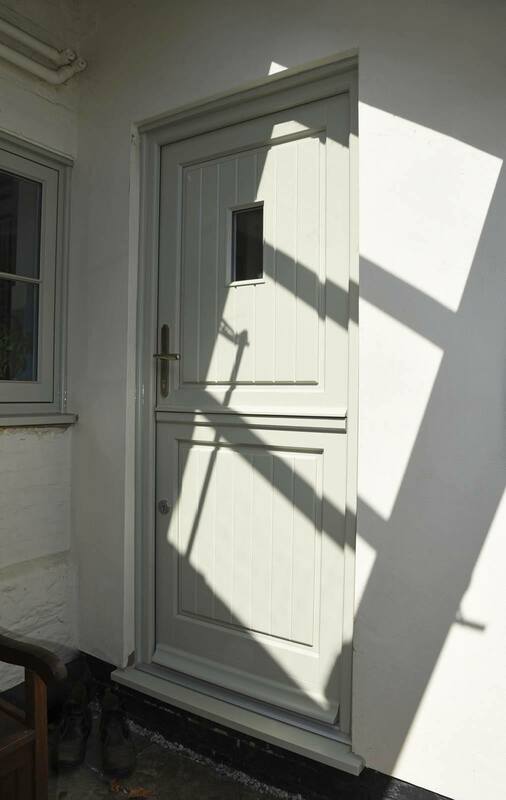 400 year old cottage with casement windows in French Grey with 18mm horizontal astragal bars.